Are you feeling really tired right now and desperate to have a good nights sleep and you are not sure what to do for your baby. I am going give you my top tips in helping you all have a goods nights sleep. Did you know that your baby is not born with a natural inbuilt 24-hour clock.? Developmentally, a baby’s biological clock (circadian rhythm) begins maturing at about six to nine weeks of age and does not work smoothly until about four to five months. They have two sleep states, active and quiet. In active, you will notice your baby’s eyelids fluttering, body movements, and even grunts. In quiet, there is slower breathing. As the cycle matures, the baby reaches a point where they are mostly awake during the day and mostly asleep during the night. On average most babies will need to feed up to three times a night before the age of six months. This is because baby’s tummies are small. So sleeping through the night is actually a myth. Temperament can impact on sleep; babies with “easy temperaments” seem to go to sleep earlier and wake less. Sleep is the first separation emotionally for mummy and child so it will naturally need to become accustomed to being on their own at night, be progressive and gentle. 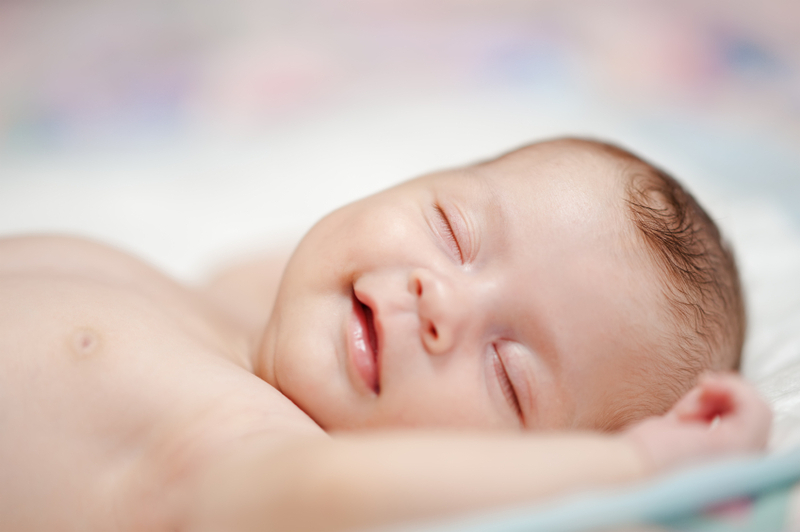 How much should my baby sleep, check out the recently upgraded guidelines from the National Sleep Association? What can you do to encourage sleep now? Ensure that you have the basics and that your baby has a safe place to sleep. Safety and comfort are two musts for good sleep. Help your baby to self-soothe, this means gently putting your child down awake and quietly. Start from nursing, then rocking, in a swing having her near. Don’t rush stages be gentle, this gives time for baby to adapt and feel safe. Try and make sure your baby does not always fall asleep on the bottle or always at the breast. Many parents pick up their child even when they not hungry or are just making a noise. Make sure their bedroom is a lovely cosy place, define night and day.It’s still important for those who co-sleep as baby needs more sleep than you do and I know some moms who go to bed at 7 when their baby does. If you choose co-sleeping to make sure the bed is safe for you and baby. That means to ensure you are not getting stuck between mattresses and there is no risk of covers going over her head. Always put your baby to sleep on her back to avoid the risk of Sudden Infant Death Syndrome. Even when co-sleeping it is important that you don’t always have to feed them when they wake briefly. If you can “Watch and Wait”. Touch, massage, sucking and warmth (keep the room temperature at 21 degrees all stimulate the anti-stress hormone Oxytocin. Keep calm and try to be relaxed within yourself. Your baby’s state can upset you too and trigger your stress response, such as rage, fear and separation anxiety. Big feelings can get in the way of helping you calm your baby so contact a professional like me, join a group and let your partner help you. Be the parent you want to be and try to do one action today to make your child feel safe, secure and loved.